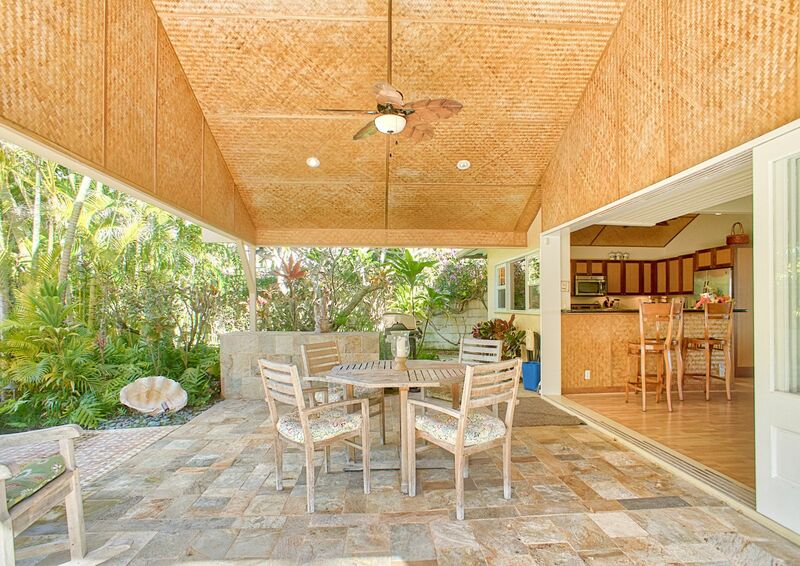 Idyllic classic Hawaiian style vacation rental home on large lot with huge sandy beach right in front of your very eyes. 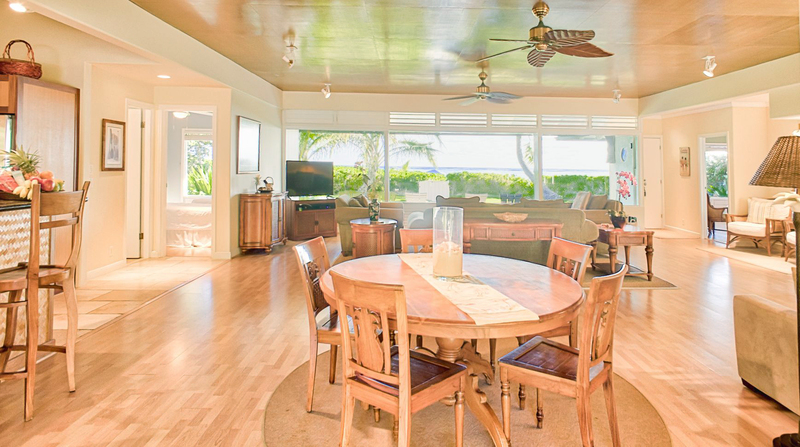 This beautiful vacation rental home offers breathtaking views of Lanikai Beach, turquoise water and the Mokulua Islands. 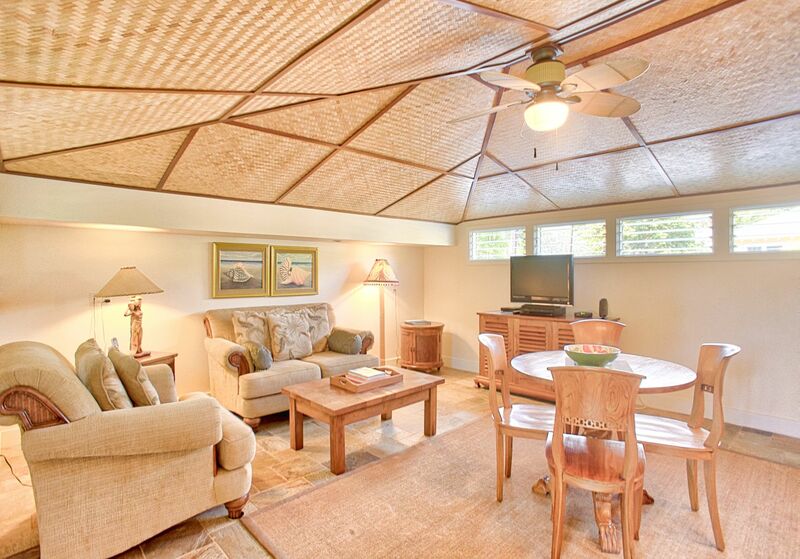 Classic, comfortable island style furnishings with big covered lanai on the mountain side. 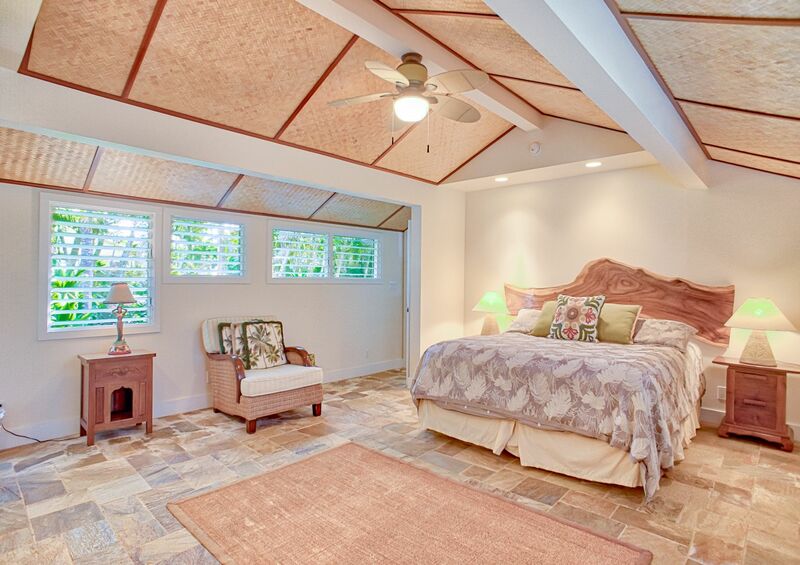 Enjoy the magical Hawaiian moon and sun rises and let this become your dream vacation. Main House in living does not have A/C. Split A/C units in bedrooms only. TV in living only. 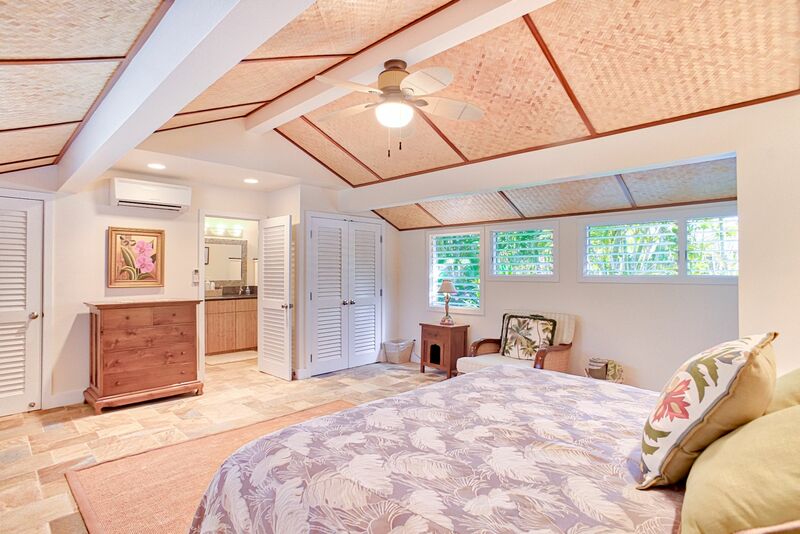 A/C is in bedroom and living room of Cottage. 5 out of 5 stars Wonderful home in the perfect location. 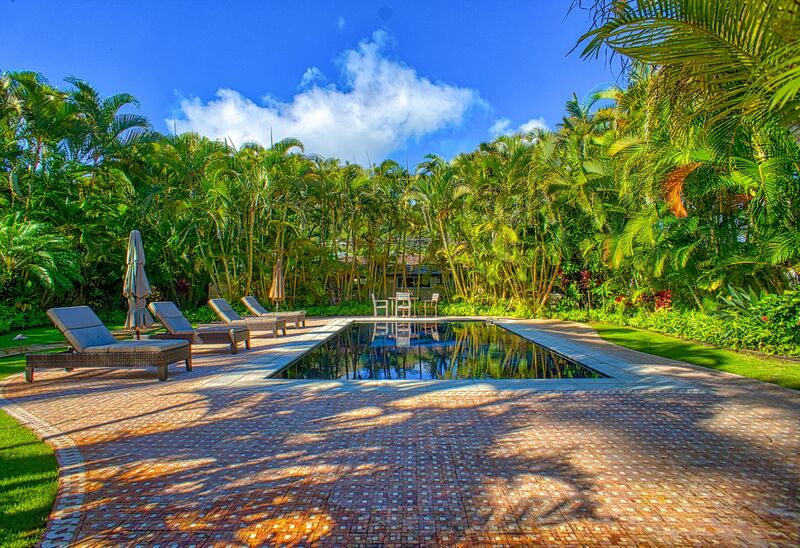 Walk out to the beach and snorkel, walk back in for an evening dip in the pool surrounded by a tropical oasis. Amazing place! 5 out of 5 stars Perfect set up for our needs. My fiance and I stayed in the casita while her sister, brother-in-law and 2 kids stayed in the main house. 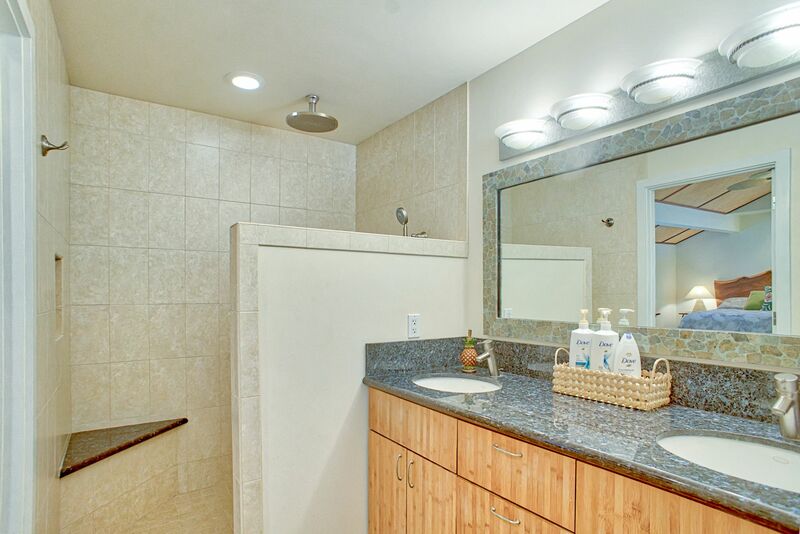 Both buildings were fully stocked with all the amenities you would need - towels, shampoo, conditioner, body wash, toilet paper, etc - which seems to be rare in rentals. They also has some pool floaties and beach/snorkeling gear that we were able to use while we were there. Chris from the property management company helped get us checked in and highlighted some of his favorite recommendations that are listed in the binder they provide. Overall a really great experience. Would definitely stay here again. 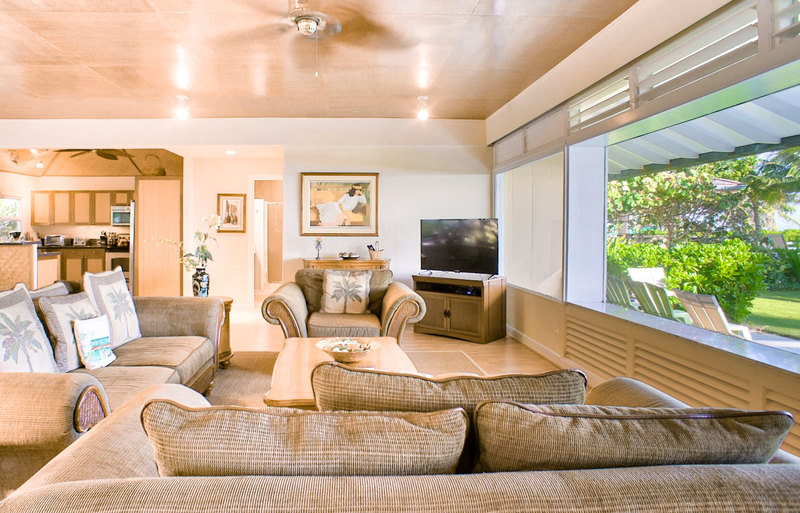 5 out of 5 stars Our family of 5 had a fantastic stay at Naupaka Hale. We can't wait to go back! 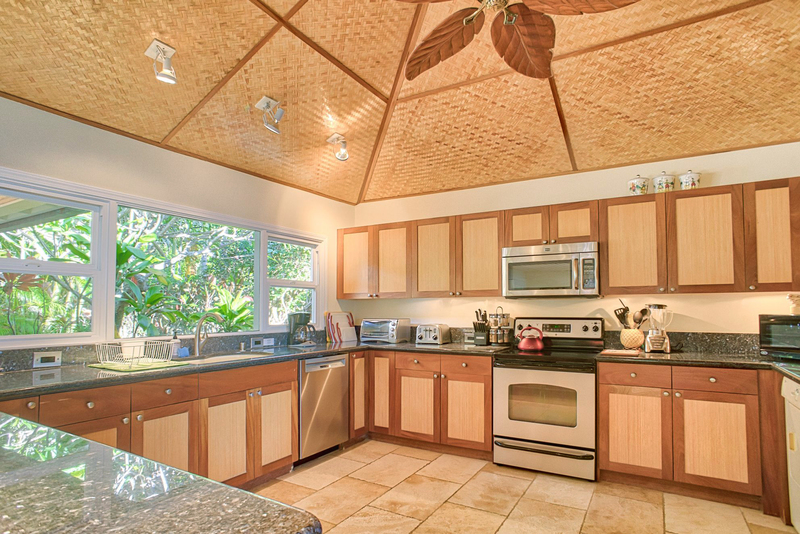 5 out of 5 stars This is an amazing location on Lanikai. Literally in the middle of the beach. 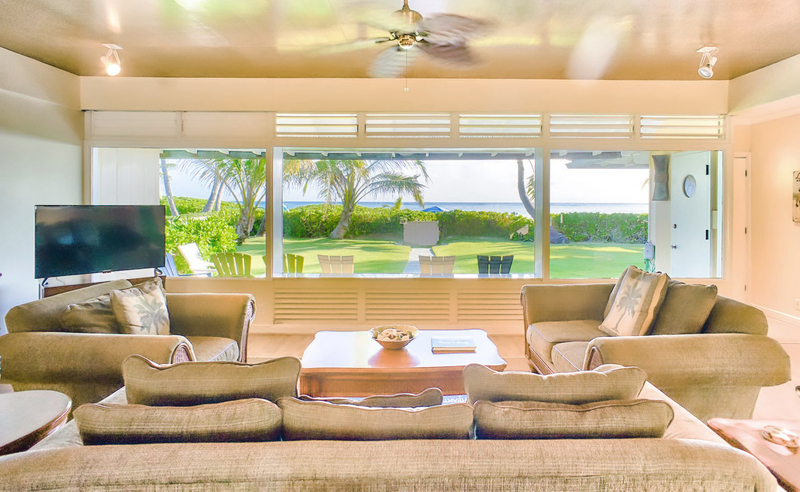 Set back and private with a private view of the all that you wish when you stand up, when you sit you have the privacy and seclusion as beach goers do not have line of sight to the back of the house. 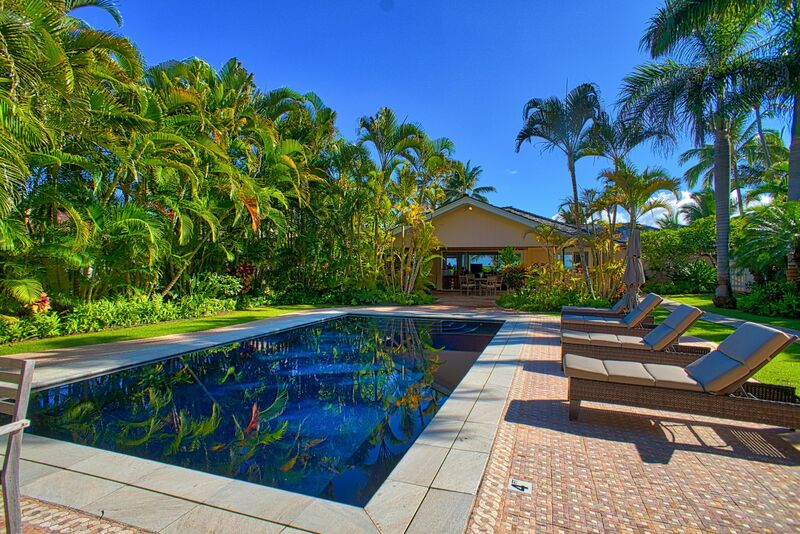 The pool area and the sitting area and the eating area are fantastic. We never ate inside. In fact, we spent hardly any time inside. this place is to be appreciated while wet. 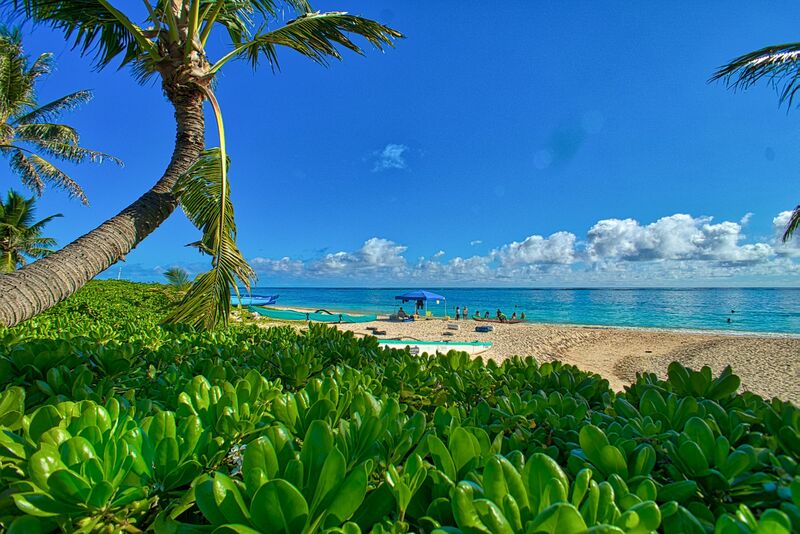 either from the ocean, snorkeling in the morning in one of the safest, clearest snorkeling spots around, or in the silky salt water pool in the back. The grill is a bit dated but easy to use and worked like a charm. We had a different fish every day of our trip and except for the calamari it was always grilled in some fashion. Highly recommend this place. 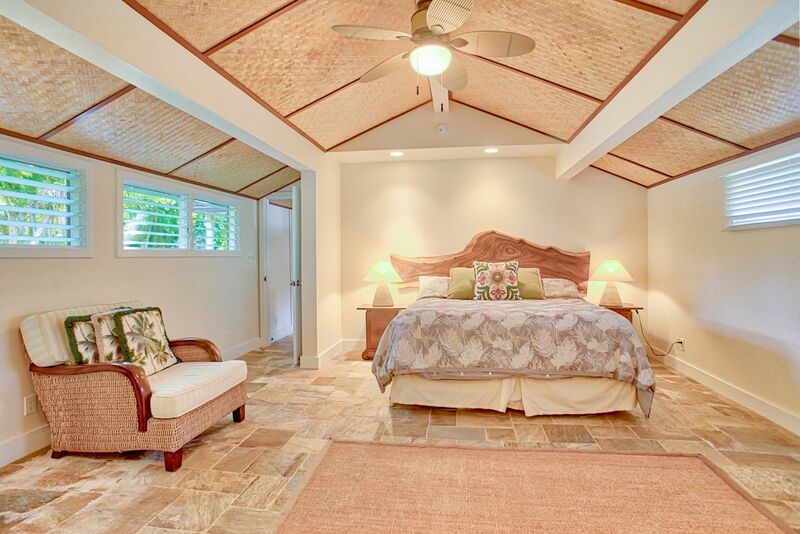 there are subtle nuances that make this special -- like the cottage bedroom and bath. 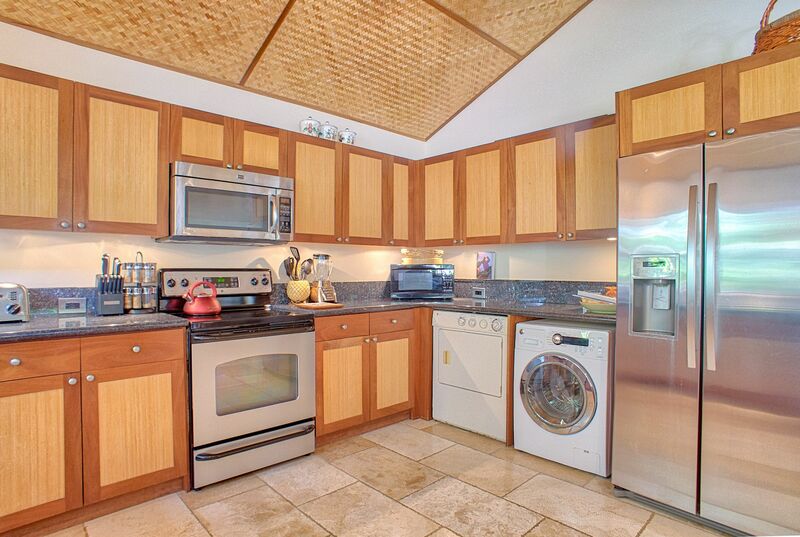 the outdoor living and the access to the beach and fantastic fully tiled (easy on your toes), salt water pool. 4 out of 5 stars Incredible location and the views were magical. Highly recommend this wonderful home. I stay at a lot of vacation homes and never have stayed at better stocked home. A ton of beach toys too and we added a volleyball net for the pool. Gorgeous stay - you won't regret it. 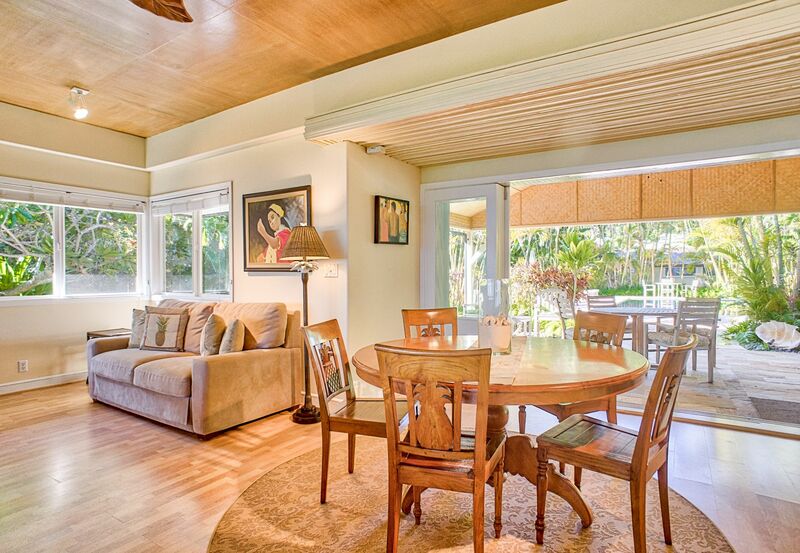 5 out of 5 stars We can't say enough about this lovely home and the pristine beach it's on. The house was very comfortable .... We arrived and Janelle from Trinity met us. They had a basket of goodies waiting for us... Filled with fresh fruits, chocolate covered macadamia nuts, chips ect.... She walked us through the house and showed us where everything was. 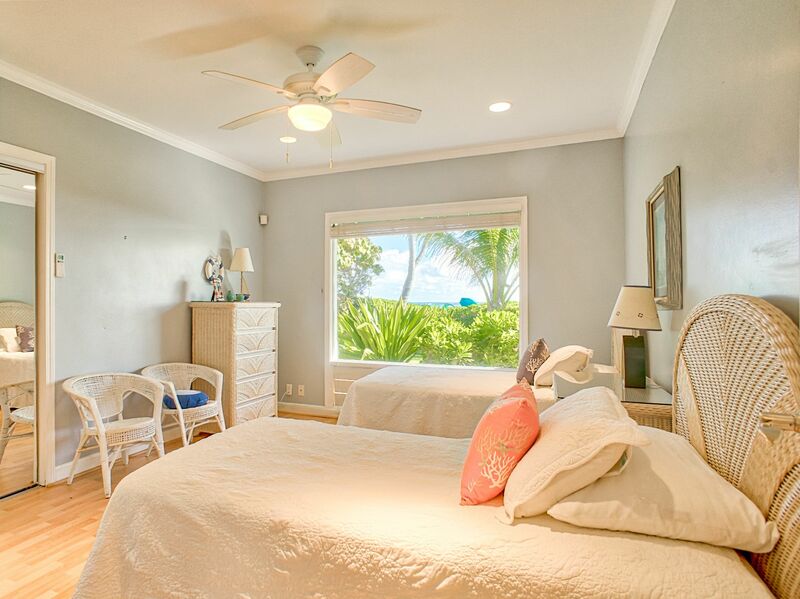 There is a closet full of beach chairs and boogie boards which was great....The beds were comfortable and the bedrooms were nice and cold. The pool and courtyard were beautiful and relaxing. 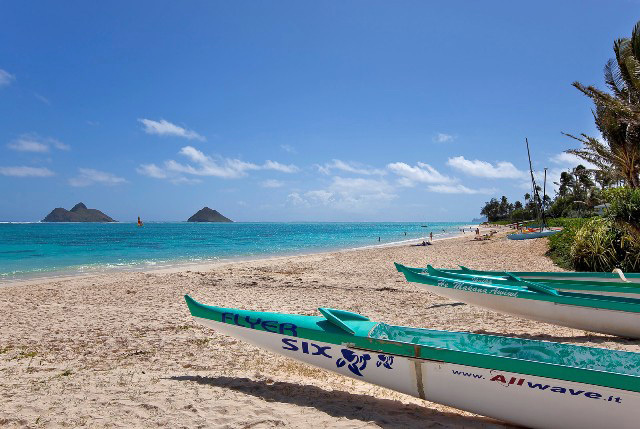 Lanikai beach is the most beautiful beach we have seen. We loved sitting on the beach and watching the sun come up every morning. 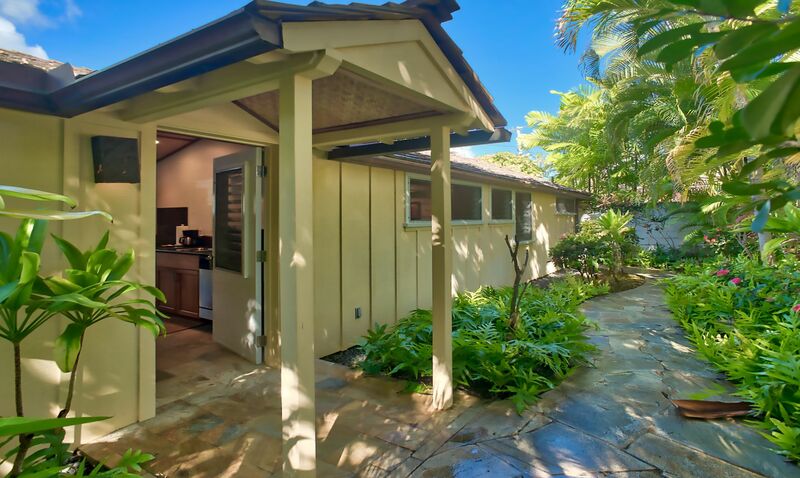 We stayed on the north shore after checking out of Naupaka Hale and it didn't compare. 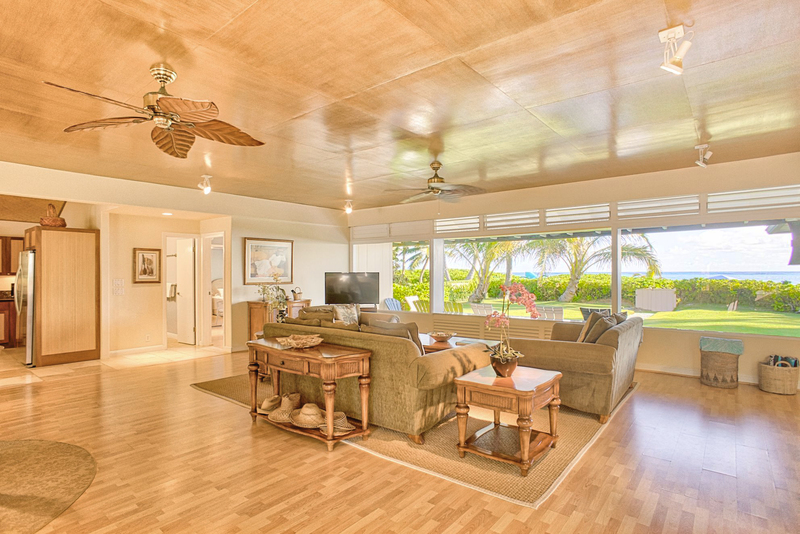 We will definitely stay at Naupaka Hale again next time we are in Oahu! 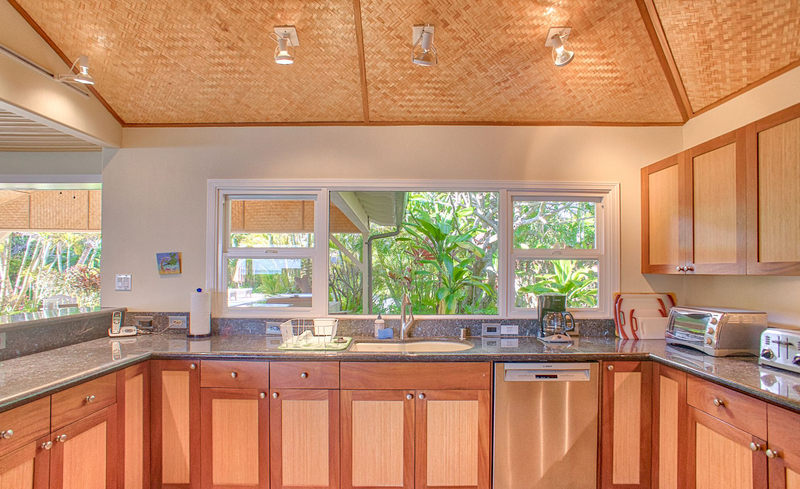 5 out of 5 stars The home is fabulous on beautiful lanikai beach but..... The beach is very busy with rowing teams in morning and night and weekends are very crowded. When the crowds showed up mid day we retreated to the beautiful swimming pool. I still highly recommend this home . 3 out of 5 stars We've stayed here before and loved it, but this year we noticed a big increase in beach activity which soured our experience a bit. 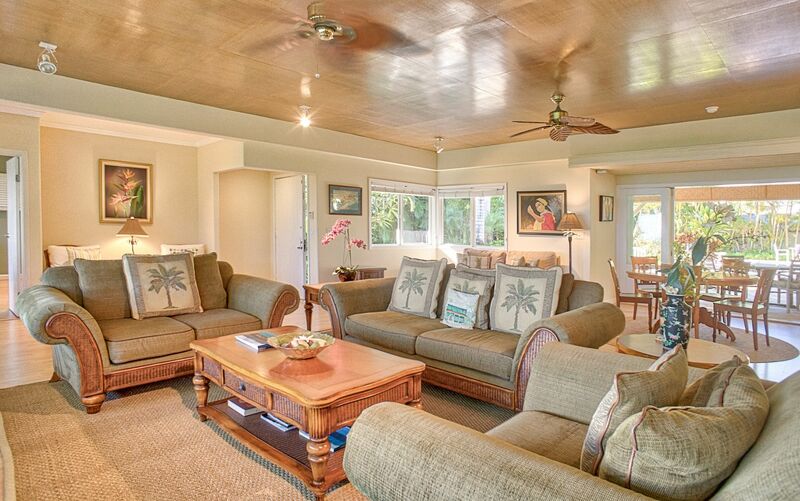 The house is lovely, the location can't be beat, but the beach and water are overcrowded. Sometimes people come to see the sunset and get very 4AM!! 3 out of 5 stars Great location but the house lacked high end ammenities and needs some general updating to receive more than 3 stars. 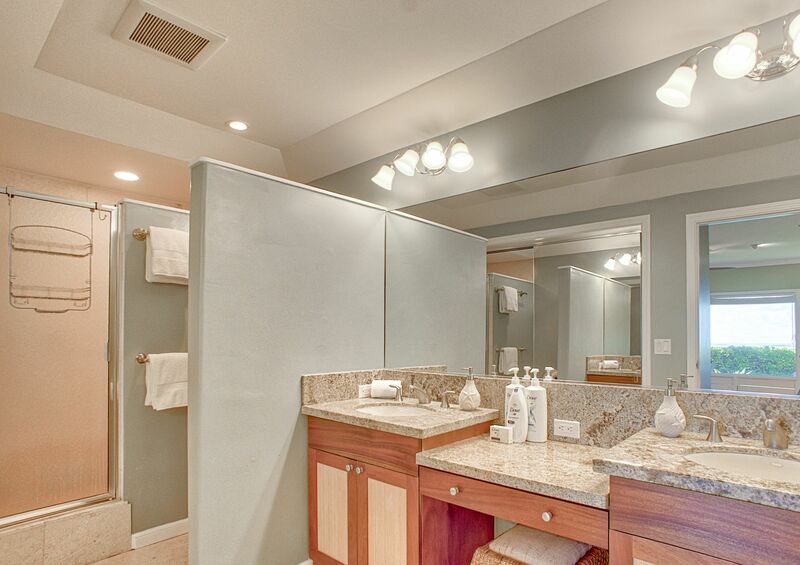 Bathrooms were dated, kitchen faucet didn't work properly, ice maker kept jamming, beds and pillows were low end etc. thank you! 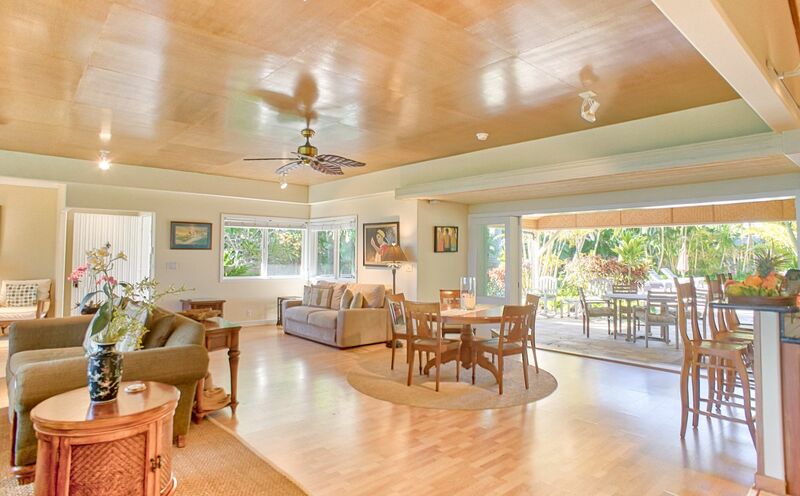 5 out of 5 stars Stunning property right next to wonderful beach in beautiful Kailua. 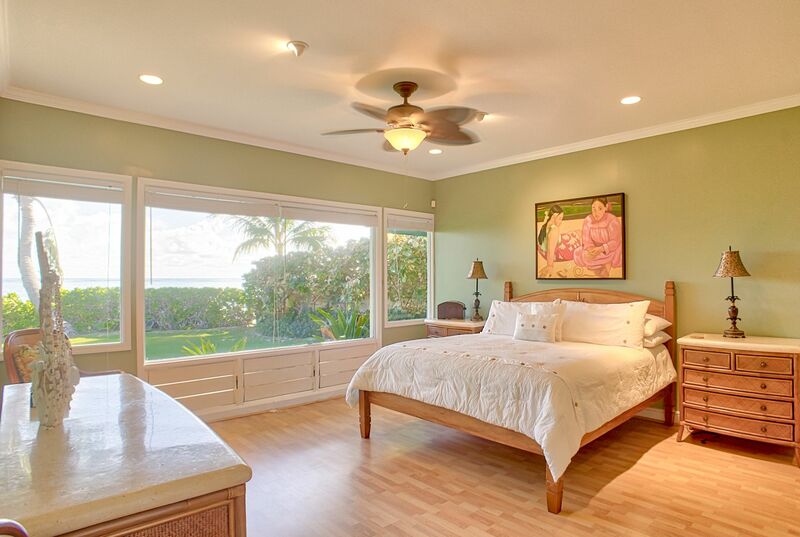 5 out of 5 stars Everything about the property was truly amazing. It doesn't get much better than this. 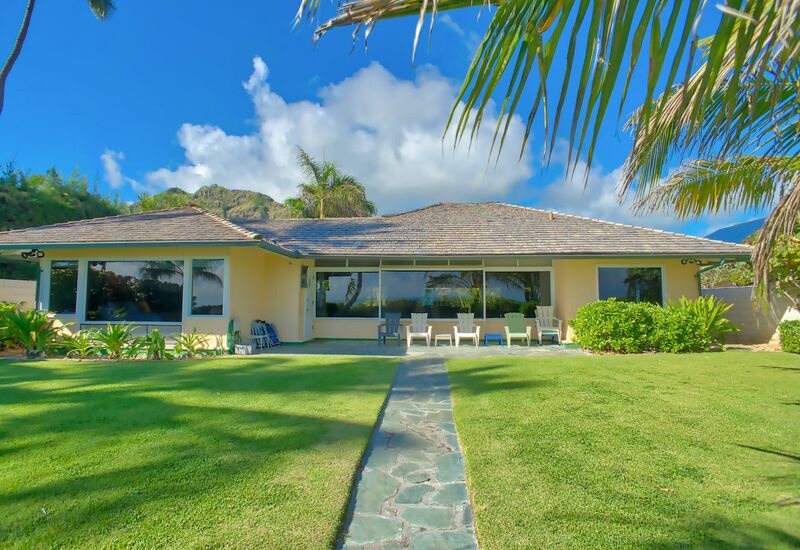 Location is perfect and property management team made the process easy and even welcomed us to the house upon arrival. 5 star service. We will definitely return. 5 out of 5 stars Excellent service. Kudos to the entire team from Robin (leasing), to Meredith (closing), Julie (finance) to Claudia/Elisabeth on management. Perfect property. 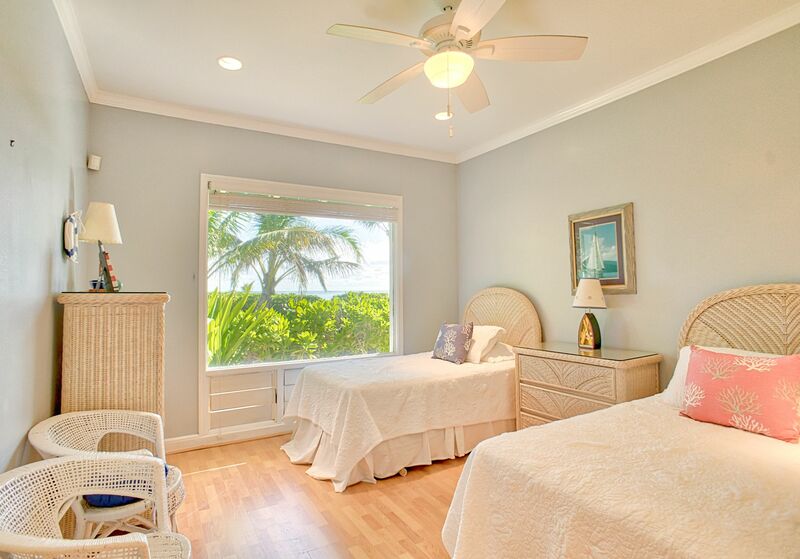 Fall asleep to the waves, open the backdoor, pass the lawn and directly on to a pristine beach, enjoy dips in the pool. All amenities needed are in the house. Two bedrooms, two bath. Only minor drawbacks - kids beds are not stable and not good to sleep on, safe doesn't work, no bathtub. But these are minor issues. Highly recommended property managed by a top tier service team. Many thanks. Will be back. 5 out of 5 stars What a fantastic beach and location. The property was perfect for my family’s need, we’ll be back! The team @ Trinity (Claudia & Elizabeth) we extremely helpful, nothing was a bother. 5 out of 5 stars I've stayed at this house two times now, and could not recommend it more highly. 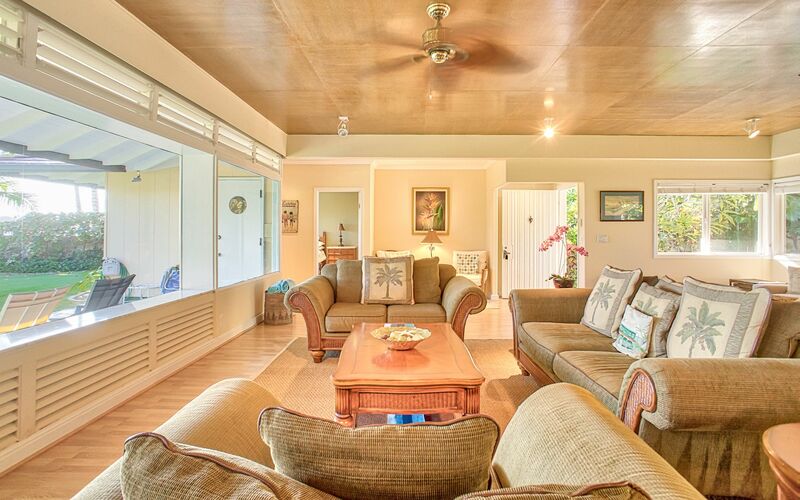 The house itself is gorgeous, with everything you need for a relaxing vacation. 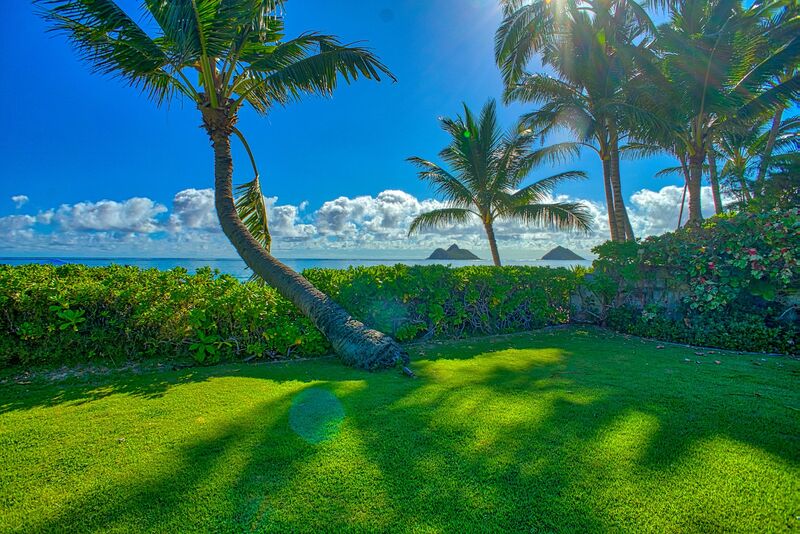 The beach is one of the best in Hawaii, the pool is saltwater, the grounds are lovely, and it's in Kailua, which is my favorite town to stay in on Oahu. 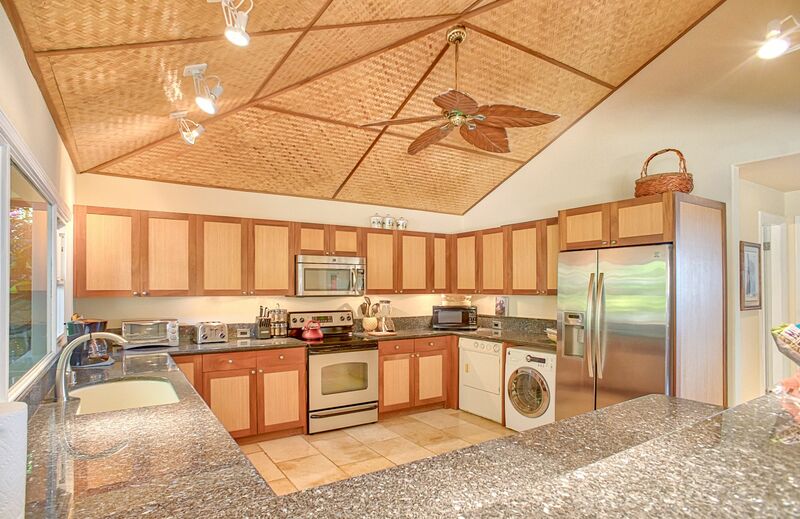 5 out of 5 stars Property was a quiet, clean and fantastic location for the family. 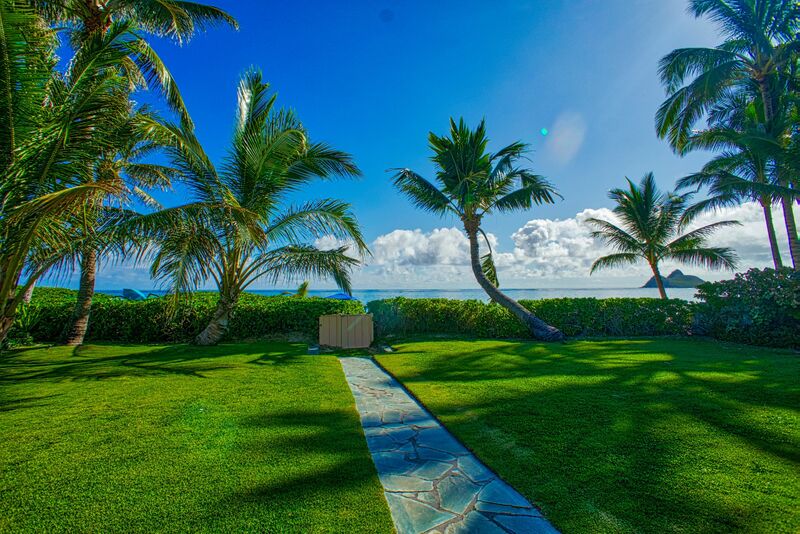 The pictures on line didn't do the privacy justice as we were slightly concerned with the baby and being near a public beach, however the 6 foot privacy walls and all the wonderful landscaping take care of any noise. We had every window/door open when inside the house and it did not disturb us. 5 out of 5 stars From the moment we entered the house we could tell it was a special place. Claudia ,the agent, was fantastic and showed us around the house. 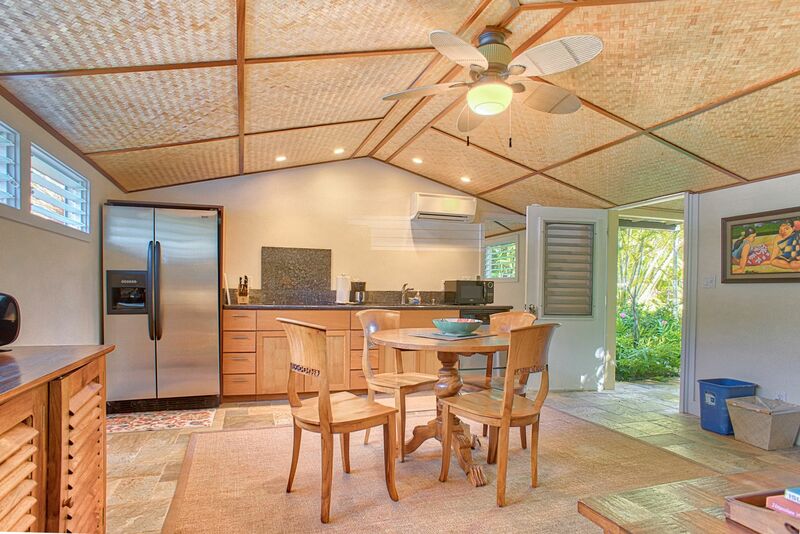 We spent two weeks on Oahu and I cannot think of a better house to stay in to explore the island. 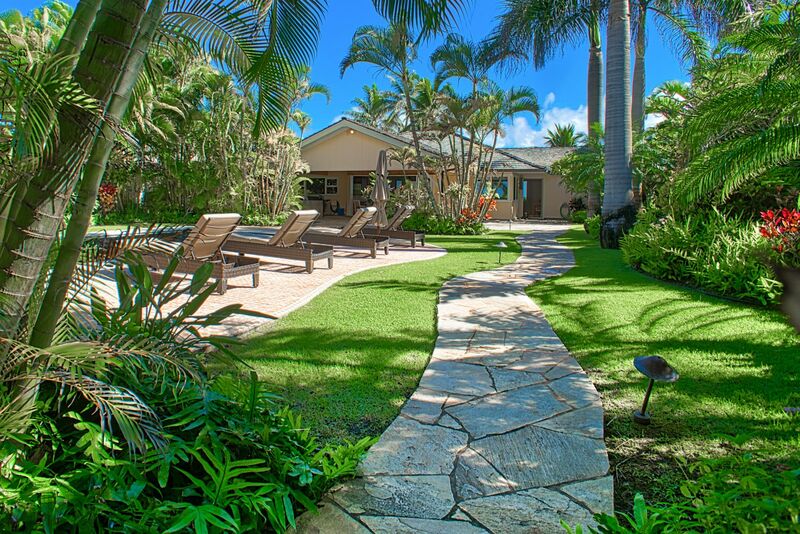 And if you want to take a day off and stay at the house and enjoy the pool and swim at the beach, it is all there. Lastly, the only thing left to say is the house and the grounds are more beautiful than the photos on the web site. 5 out of 5 stars Best vacation and vacation rental I've ever stayed in. Perfect. 5 out of 5 stars A beautiful property! 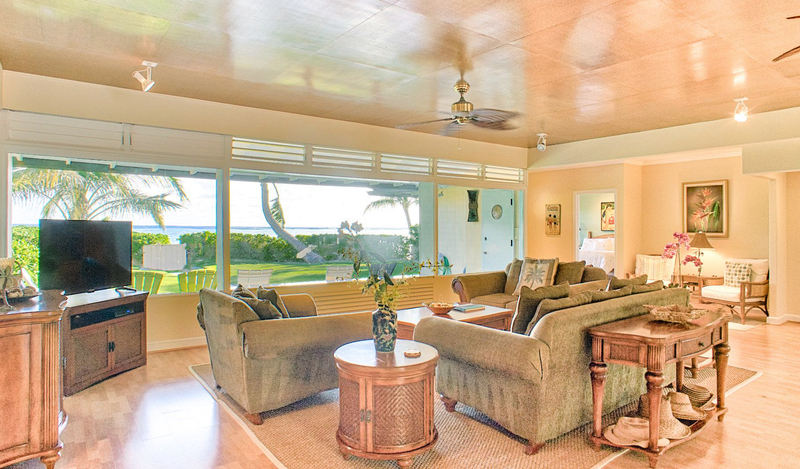 You can see the ocean right through the house from the pool and back patio. 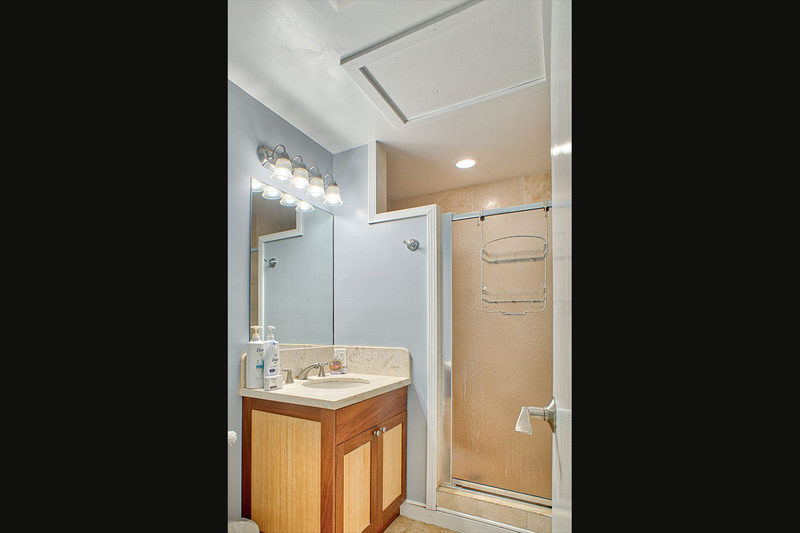 The property manager thought of every detail. Our family loved staying here.